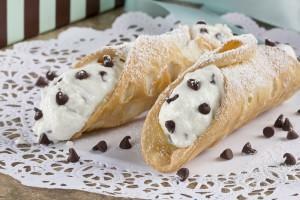 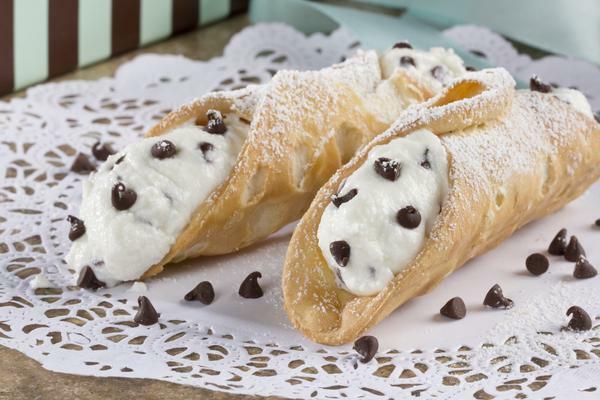 Pastry shell filled with ricotta cheese and chocolate chips. 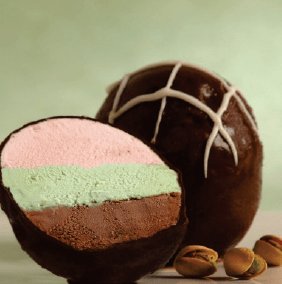 Cappuccino gelato with a heart of espresso, covered with coffee flavored meringue sprinkles. 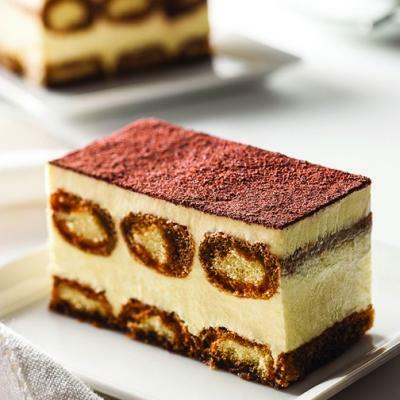 Alternating layers of carrot cake spiced with cinnamon, chopped walnuts and pineapple, covered with a smooth cream with crushed walnuts. 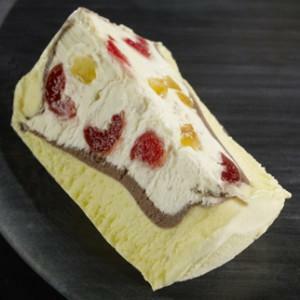 Traditional Sicilian semifreddo: zabaione with a heart of chocolate gelato and semifreddo with candied fruit. 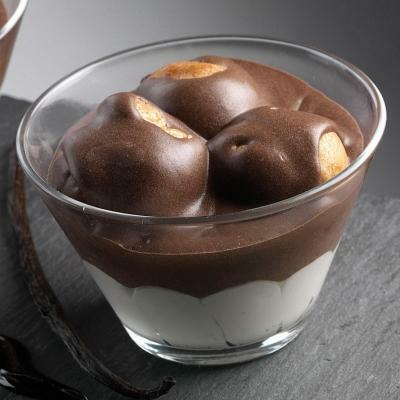 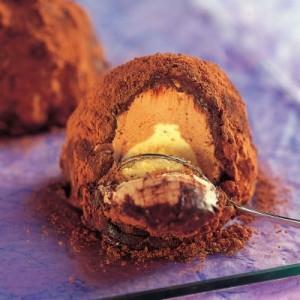 Zabaione cream center, surrounded by chocolate gelato and caramelized hazelnuts, topped with cocoa powder. 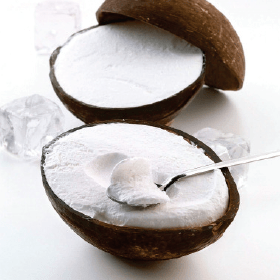 Coconut sorbetto served in its natural fruit shell. 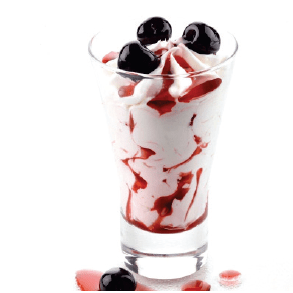 Vanilla and Amarena cherry gelato swirled together, topped with real Amarena cherries. 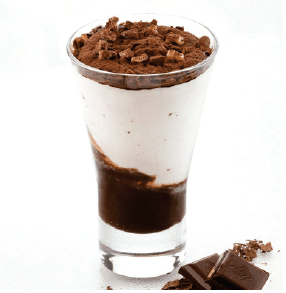 Chocolate gelato swirled together with chocolate syrup, topped with cocoa powder and hazelnuts. 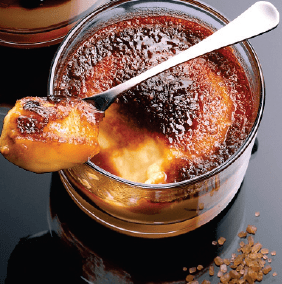 A classic French dessert consisting of a custard topped with caramelized sugar. 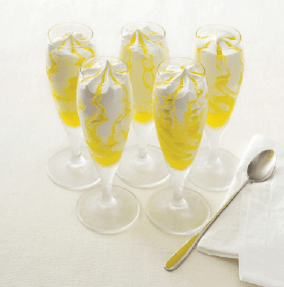 The custard is traditionally made with cream, egg yolks and sugar, and flavored with vanilla. 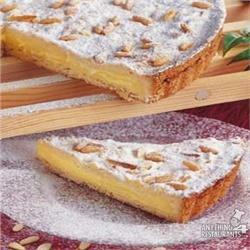 Pastry cream with a hint of lemon on a base of short pastry, covered with pine nuts, almonds and powdered sugar. 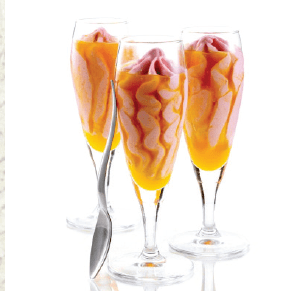 Creamy tropical guava gelato swirled with sweet mango sauce. 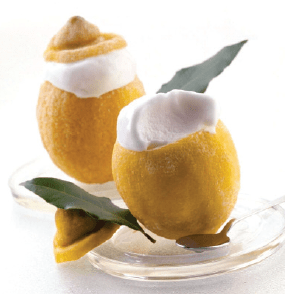 Lemon sorbetto served in its natural fruit shell. 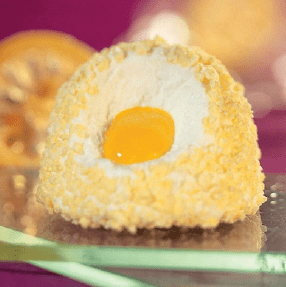 Lemon gelato with a heart of limoncello, covered in maringue. 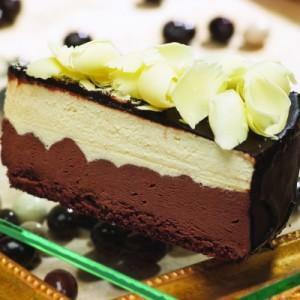 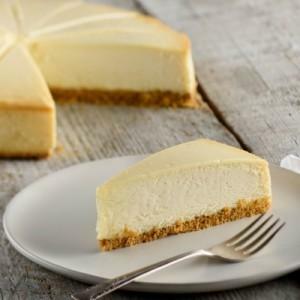 Traditional New York cheesecake flavored with a hint of vanilla on a sponge cake base. 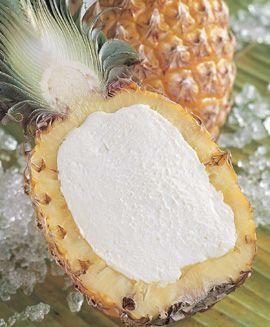 Pineapple sorbetto served in its natural fruit shell. Layers of espresso drenched lady fingers separated by mascarpone cream and dusted with cocoa powder.